one + 1 = Required Please enter the correct value. 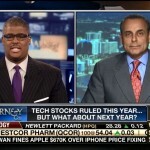 Today (Thursday), Money Morning Defense & Tech Specialist Michael A. Robinson appeared on FOX Business' "Varney & Co." to discuss whether the tech companies that are driving the market right now will be among the best investments in 2014. Robinson believes the growth and earnings of tech companies continue to offer investors what they want - good cash flow and solid earnings. 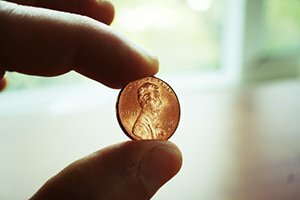 When Varney co-host Charles Payne points out that "Amazon hasn't made a nickel since day one," Robinson counters by saying that "each company has a unique story to tell." 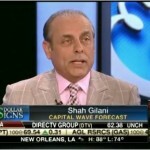 Money Morning Capital Wave Strategist Shah Gilani joined FOX Business' "Varney & Co." today (Thursday) to discuss the viability of tech stocks in 2014. 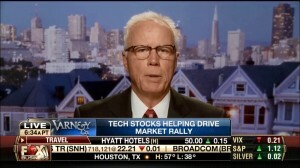 The hype and excitement that follow tech stocks can make them particularly volatile. 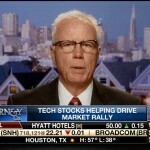 Although Gilani cautions viewers against tech stocks that have reached 52-week highs, he generally believes tech stocks will soar in 2014, and states that "they're global, they're going to be here for a long time, and they're a good place to remain." Gilani especially cautions viewers against Yahoo! (Nasdaq: YHOO), as he believes the "underlying numbers have not been looking great," highlighting lower display and search revenue in November. It's no wonder Yahoo! Inc. (Nasdaq: YHOO) investors are pissed. I would be too if I owned Yahoo - but I don't. Maybe it's the four CEOs in five years, the botched sale to Microsoft in 2008, or a Chief Executive Officer who can't be bothered to verify his own credentials in SEC filings. Or maybe it's the dysfunctional board of directors and the erosion of massive amounts of shareholder value over the years. Add it all up and you have an unmitigated disaster on your hands. Activist shareholder Daniel Loeb, who owns 5.8% of the company through his hedge fund, Third Point, LLC, has every right to be angry and vocal about it. The way I see things, Yahoo is following what I call the Christopher Columbus School of Management: it has no idea where it's going, has no idea where it's been and has no idea what to do when it arrives. Yahoo was ostensibly a search engine in the beginning. The latest outgoing CEO, Scott Thompson, had been trying to rebuild the beleaguered Silicon Valley company into one more reflection of his own strengths in data personalization as opposed to the bloated advertising-driven business it has become. Whether or not Thompson would have succeeded is now a moot point. Incoming interim CEO Ross Levinsohn has an advertising background. Talk about a conundrum. The black cloud following Yahoo! Inc. (Nasdaq: YHOO) seems bigger than ever. Just one day after he was forced to leave the forlorn Internet company for padding his resume, reports surfaced that ex-Yahoo CEO Scott Thompson revealed he has cancer. According to a report in The Wall Street Journal, citing unnamed sources, Thompson told Yahoo's board and several colleagues of his thyroid cancer before resigning Sunday. A source told The Journal that Thompson's decision to leave his position at Yahoo was in part influenced by his cancer diagnosis. News broke last week that Thompson embellished his resume with a degree in computer science, when he actually earned a degree in accounting from a small Massachusetts college. Thompson was hired in January to replace Carol Bartz, who was fired by phone last September. In the revolving position at Yahoo, former head of global media Ross Levinsohn has been named interim CEO. Levinsohn had a triumphant stretch running Internet services within Rupert Murdoch's media empire at News Corp. before Bartz lured him to Yahoo in 2010. Levinsohn previously ran ad sales for Yahoo's Americas unit. Yahoo investors applauded the media veteran's appointment. Yahoo shares tacked on 2.2% in premarket trading Monday ahead of a nasty open for U.S. markets. Levinsohn has significant credentials as a negotiator. Before coming aboard at Yahoo, he had a history of recognizing and acquiring an assortment of digital media companies around the globe. That is a striking comparison to Yahoo's last two CEOs, who had stronger backgrounds in technology than media. "We view Mr. Levinsohn as well-equipped to lead the organization and to build off the company's core strengths - advertising products and digital media," said Spencer Wang, an analyst with Credit Suisse. But Yahoo still faces a rocky road ahead. This week's news moving tech stocks includes today's (Tuesday's) Pandora Media Inc. (NYSE: P) earnings report, tomorrow's (Wednesday's) Apple Inc. (Nasdaq: AAPL) iPad debut, and Yahoo Inc.'s (Nasdaq: YHOO) rumored layoffs. Pandora Media (NYSE: P) Earnings: Internet radio site Pandora, which went public June 15 last year, released fourth-quarter earnings after the bell today. Pandora lost $8.18 million, or five cents a share, due to higher costs for advertising, marketing and content acquisition. 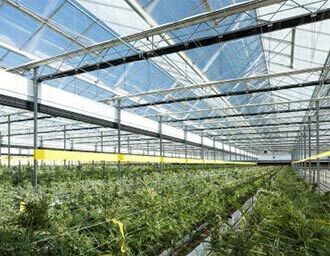 Fourth-quarter revenue rose to $81.3 million from $47.6 million, a 71% year-over-year increase. Advertising revenue was $72.1 million, up 74% from the year before, and subscription and other revenue was up 51% to $9.2 million.